Sit back and relax; your new home awaits! You’ll fall in love with this charming 2/2 bungalow in Shoal Village! an open kitchen with granite countertops, and ample natural lighting. The bonus sunroom is perfect for a home office or reading space. Wake up each morning sipping coffee on the back deck or play in the yard with the kids or dogs. 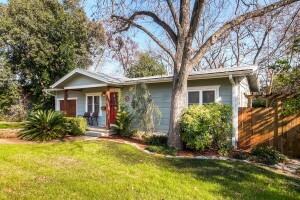 Not to mention, you will be right in the heart of central Austin! For more information, contact Papasan Properties Group at (512)330-1004.